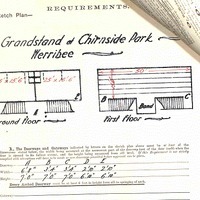 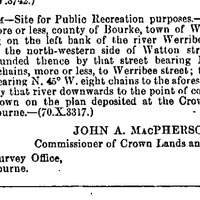 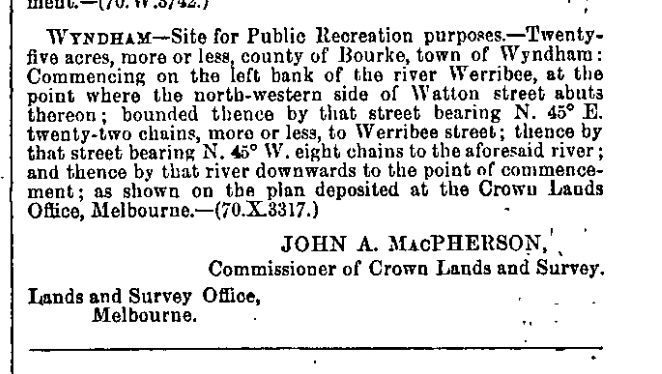 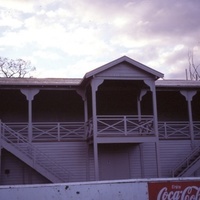 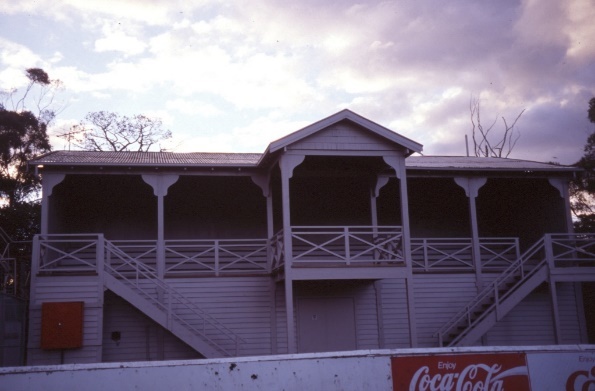 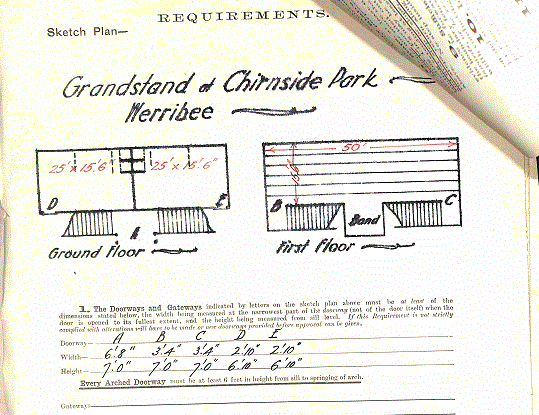 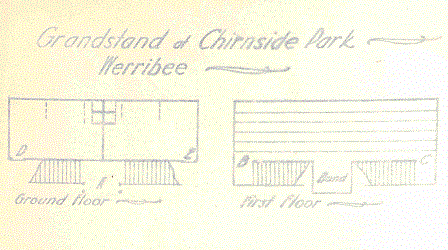 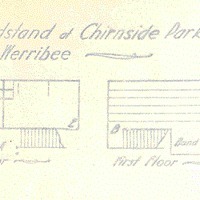 An article on the history and significance of the Grandstand at Chirnside Park written by Elizabeth (Libby) Bernard. 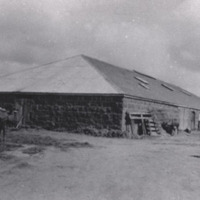 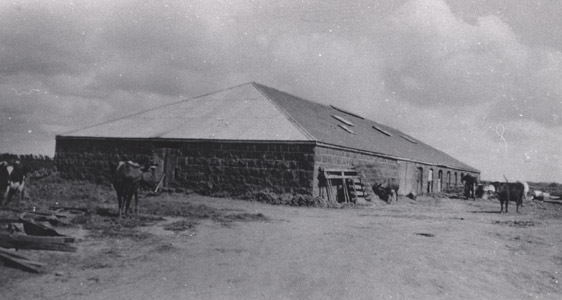 Bluestone woolshed at Werribee Park, Werribee. 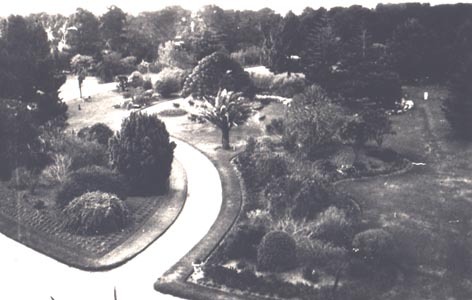 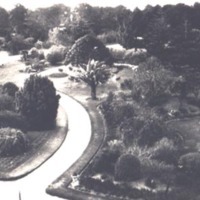 A view of the garden from the roof of Werribee Mansion. 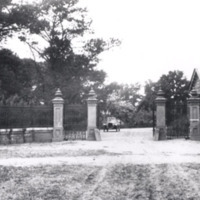 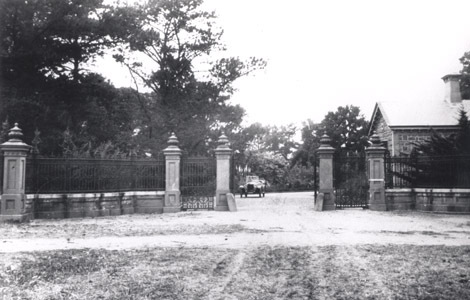 Gates leading to the home of George Chirnside, Werribee Park. 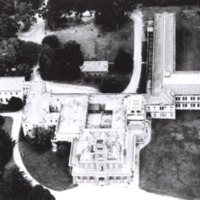 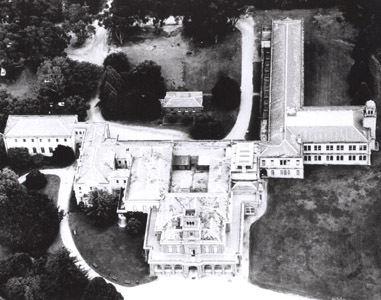 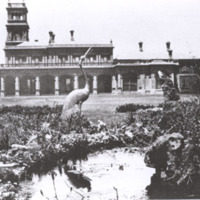 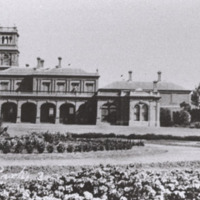 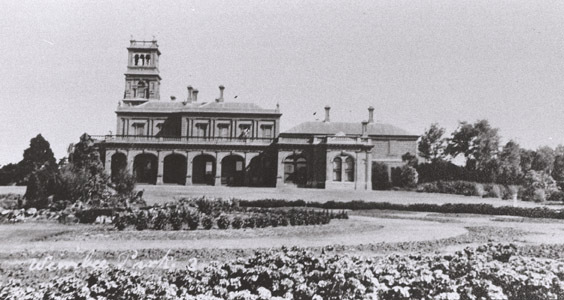 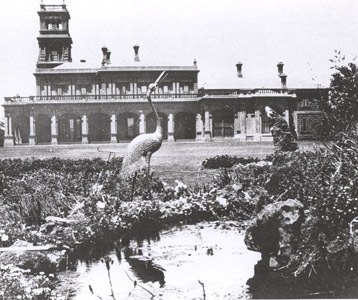 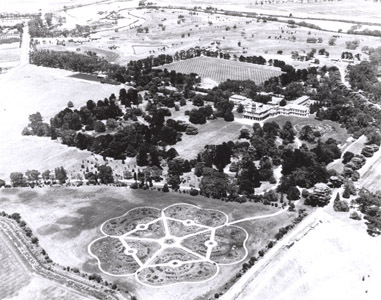 Photograph of the Werribee Mansion with the pond and a sculpture of a crane. 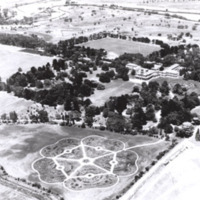 Werribee Mansion and some of the formal gardens in the foreground.